If you're a teacher, a parent, or even a student, you've probably noticed that there are some major differences between boys and girls in the classroom. This is more than just an observation – the differences are brain-based and have been proven by scientific research. 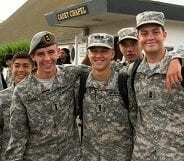 Army and Navy Academy has over 100 years’ experience as a single-gender school. Because of this, our teachers and administrators are experts on the ways that boys learn best. They use techniques designed specifically for the minds of boys, including interactive lessons, movement in the classroom, and the addition of competitive aspects to learning projects. 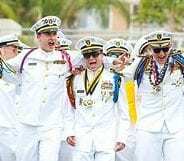 These strategies, along with our military structure and JROTC curriculum, help boys develop value systems and leadership skills. While we have focused on teaching methods designed specifically for boys for many years, we’ve recently taken our commitment to a new level. Earlier this year, Academy Faculty and Staff traveled to Tampa, Florida, for the Gurian Institute’s Learning Through a Gender Lens training. The Gurian Institute is an internationally recognized organization dedicated to studying the brain-based differences between boys and girls. It also trains teachers and parents to help them use those differences to help young people learn to their fullest potential. During the training, leaders from the single-gender education movement gathered to explore best practices for understanding gender-based brain differences to better meet the unique learning needs of students. Highlights included meeting Michael Gurian, founder of the Institute, and seeing his presentation of “Understanding the Minds of Boys and Girls” and hearing Dr. Linda Cliatt Wayman’s powerful keynote address that highlighted the importance of leadership in bringing about school reform and improvement. Everyone who attended the training received a certificate of completion at the conclusion of the seminars. Two team members – Dr. Lisa Basista, Dean of Academics, and COL Kevin Batule, Commandant of Cadets – participated in additional classes to become certified Gurian Trainers. This means that they're qualified to train the Academy’s Faculty, Staff, and Patrons to better meet the needs of our single-gender student body. 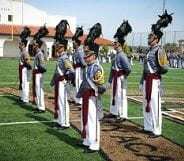 This training was one of the final steps needed for the Academy to become a recognized leader in single-gender education as a “Gurian Model School”. On Saturday, September 26, 2015, Michael Gurian visited the Academy to give us this official designation, joining only nine other schools who hold the title. 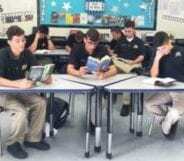 As a Gurian Model School, the Academy will serve as a model for other schools that are seeking to build boy-friendly teaching practices into their curriculums. We are extremely proud of this accomplishment. 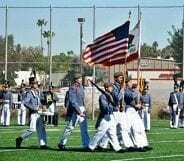 The Academy is proud to be the only all-male military boarding school on the West Coast of the United States. We believe in the value single-gender education, and look forward to being showcased as a Gurian Model School this coming fall. Learn more about the Gurian Institute here. Are Single-Gender Schools a Better Option for Middle and High School?